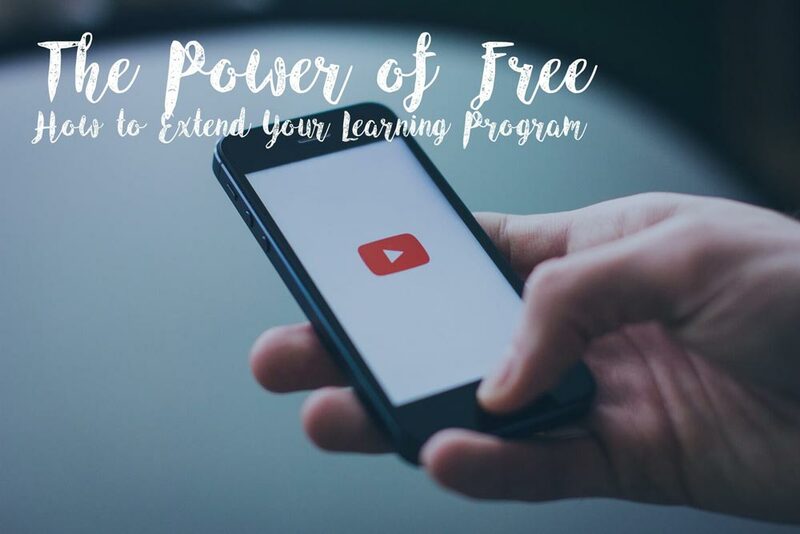 free E-Learnings and there is even a virtual Galaxy full of compliance offerings and operational tutorials on video hosting sites such as YouTube. When evaluating your learning program, are you making the most of what is available to you? Here is a quick guideline in evaluating the free content available to you, and how to augment your learning program with what you find. Specifically, in the realm of business application learnings, there are finite methodologies for succeeding within a particular role. Many organizations provide custom learnings for these areas, as the practical nature of the process may be completely outside the scope of real life. Videos found on YouTube provide an alternative perspective. What may work for your business, may not register the greatest buy-in from your workforce. When looking through your current course offerings, consider whether or not there is enough of a human element in the offering, and how additional context could bolster the idea in the minds of your users. Also, look for items that may not be present. For example, if you are offering a software tutorial in your current learning mix, seek out specific features which may extend the functionality of the application which you are teaching on. It is hard to know what may most benefit your users, but giving them a full scope of ideas could be just what the doctor ordered in consideration of what could potentially best impact the organization in question. Establish a training team on these topics and talk about what your instructors may wish to see in the learning that is not currently there, and develop a complete list of requirements in order to make to learnings as well rounded as possible for the end users within your system. Develop a mapping that shows where the content holes are, and use this as a form of reference going forward. Not all free content is created equally. As such, this step is absolutely vital to ensuring proper utilization of free content within your learning platform. In order to evaluate the free learnings, perform simple web searches to look for materials that may fill these identified gaps, and begin building a list. Create a periodical email campaign internally with your learning team to establish the validity of some of the URLs which you have collected. Then, establish a meeting to follow-up on these items and collect input as to why the learnings you have found either work or come up short in the scheme of what your organization most values. This process will further shape your requirements, and push your search for suitable free content. Along the way, be sure not to neglect the ratings of the content which you are evaluating, a quick glance of the number of likes and dislikes on an embedded video could be all you need to disqualify a video prior to even viewing it for further content validity. Once you and your learning design team have evaluated your current offerings and the free online web provisions, it is time to start patching the holes which you have found. Match the criteria which you have established in the evaluation of your current content with the vetted available learnings encountered in the previous step of evaluating the free content. Utilizing the free learnings, start filling in the blanks of the mapping document you and your design team created within the step of evaluating your current content offerings. Flag courses within your Learning Management System (LMS) in which these new Learning Objects may apply, and determine the best methodology for grading these new learnings. Whether it be via a simple verification of a one-time viewing, or a more elaborate methodology such as the creation of a supplemental testing object to verify user comprehension. This process will further the reach of the new content in the system, as well as the previously established courses in which these are in reference towards. There is an incredible library of learnings, completely free, available on whatever platform you are reading this blog on. Follow the steps of evaluating your current content, the content you would wish to add, filling the holes in your existing offerings, in order to implement a complete educational mix, which best suits the needs of your workforce. Doing this will ensure the best possible environment for your personnel and establish a deeper understanding of possible functionalities that could be going neglected within your organization’s current offerings. As always, thank you for joining us here at the Gyrus Blog, be sure to subscribe at the top right-hand corner of this page (Bottom if you are viewing this via a mobile platform), in order to get this fresh content distributed directly to your email inbox as it is posted.